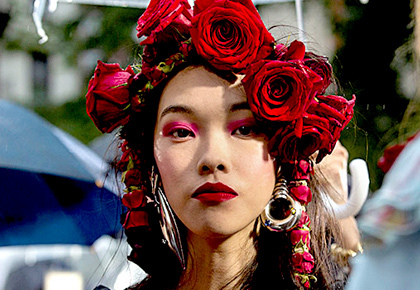 With fresh flowers adorning their heads, these models looked simply gorgeous. 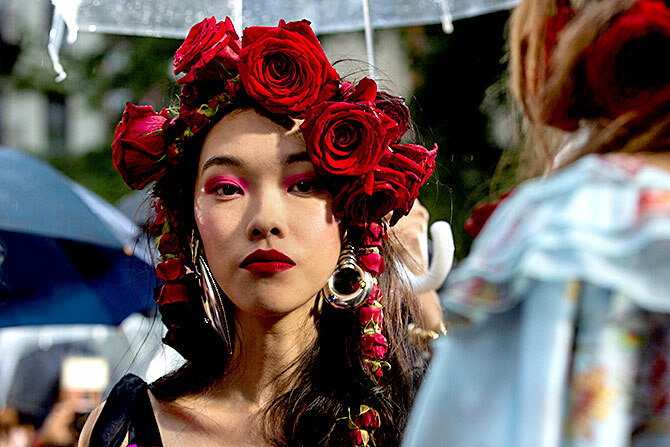 The designers behind American label Rodarte, Laura and Kate Mulleavy, chose an unusual venue -- the open-air New York City Marble cemetery -- to showcase their latest collection. A sudden downpour didn't stop the guests from attending the show, which looked like a fashion fantasy. The show marked the designers return to the New York Fashion Week after several seasons, and it was well-received by fashion critics. 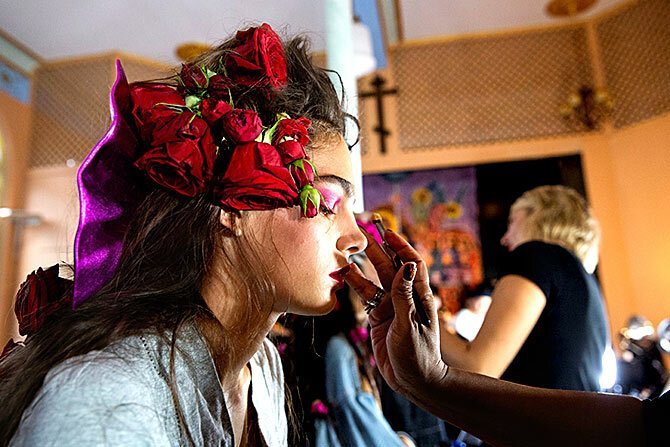 Models walked the ramp in ethereal and romantic gowns and lovely floral headbands. 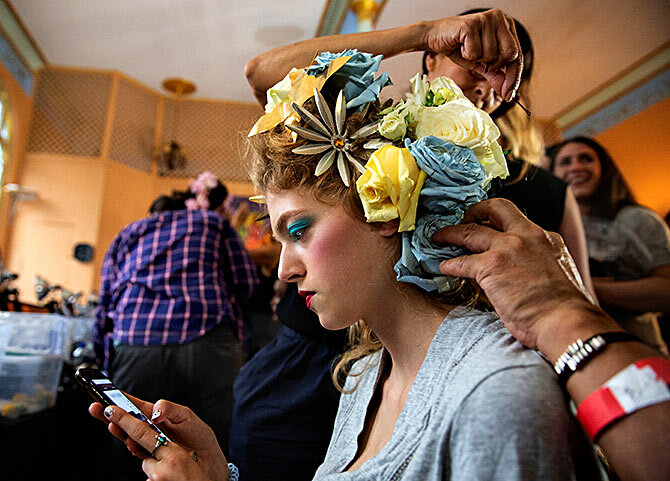 Presenting some glimpses from the Rodarte Spring/Summer 2019 collection during New York Fashion Week. A model poses for a portrait backstage. Getting the final touches done. 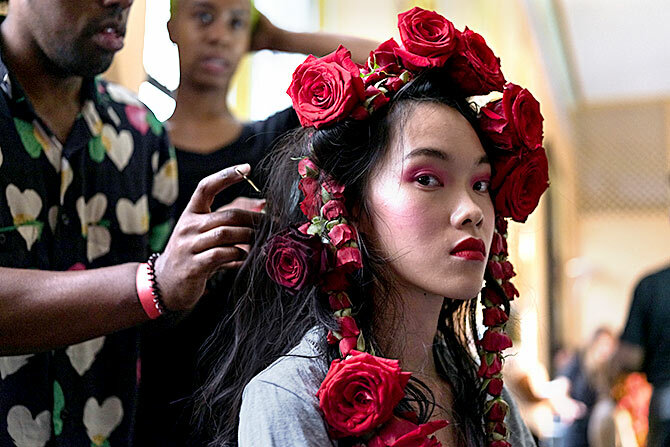 The make up matched the colour of the roses. 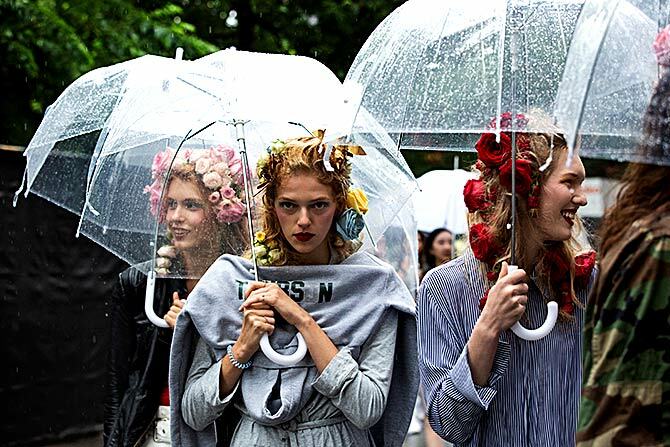 Models make their way to the venue carrying umbrellas to protect their make up from getting ruined. The collection had a romantic feel to it. Despite the rain, it was a miracle that the make up stayed intact. Lady in red! 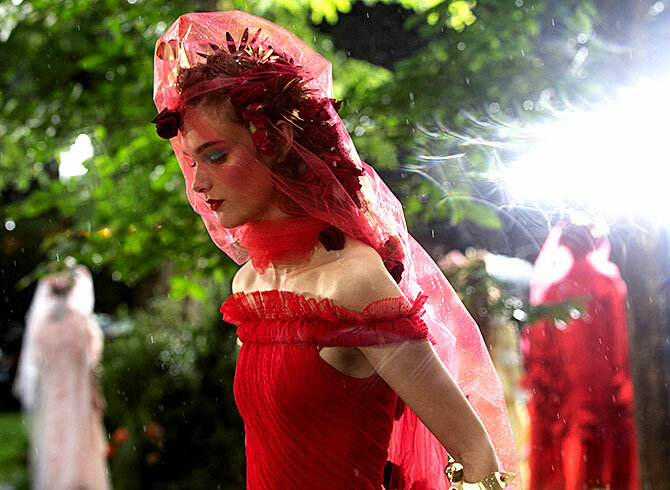 This model showcases bridal separates in red.